Sound is a wonderful, if invisible thing. To work with these tiny fluctuations in air pressure that make up what we hear, we always work with some sort of software metaphor. So why not make that metaphor pixels – and why not manipulate the visual element directly? Photosounder looks like MetaSynth, but it more directly translates between sound and image. It also has a uniquely straightforward interface for precisely adjusting controls and mappings. Put these together, and you can really use Photosounder as an audio tool. That opens up not only experimental techniques, but even makes conventional tasks more accessible. Photosounder is also under very active development, with recent additions like a lossless mode for better sound fidelity and loop modes. 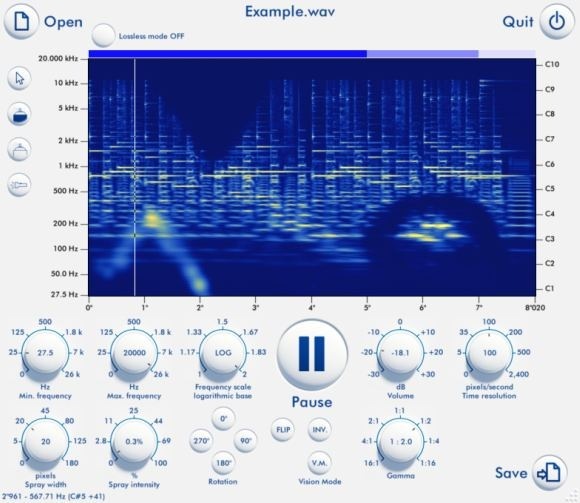 The result is a really compelling looking tool for audio manipulation. It’s cheap enough to impulse-buy, too, at EUR25 non-commercial or EUR99 commercial.